Tesla quietly created a ‘Golden Ticket’ drawing for all the Model 3 reservation holders who placed a pre-order during the first day and randomly selected 12 winners to receive an all-expenses paid trip to the Gigafactory Grand Opening. Congratulations! 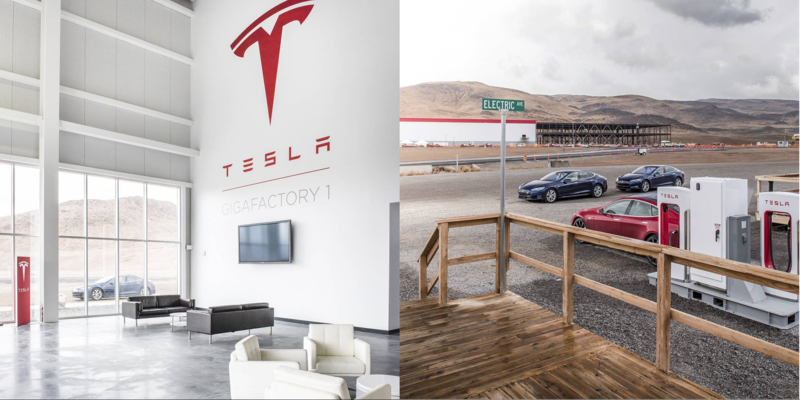 Through random selection, Tesla has chosen twelve Golden Ticket winners from all those that placed Model 3 Reservations on the opening date to receive an all-expenses paid trip to our Gigafactory Grand Opening event on July 29th, 2016 in Reno, Nevada. We are excited to share that your name was chosen in this drawing and that we’d like to invite you and a guest to join us at the event. Round trip economy class airfare, transportation, and accommodations will be provided. Tickets are non-transferrable. For additional details and to redeem your package, please contact goldenticket@tesla.com. We look forward to seeing you and your guest at the event! About 150,000 people reserved the Model 3 on the opening day, meaning that they had about 1 in 12,000 chance of winning the trip. We contacted Tesla to make sure this is real, but the email that was forward to us was from ‘goldenticket@tesla.com’, which is a domain owned by Tesla since earlier this year (update: a Tesla spokesperson confirmed it’s real). Check your emails, maybe you are among the lucky golden ticket holders? Tesla announced that the company will hold a ‘Grand Opening’ event for the first phase of the Gigafactory. Tesla CEO Elon Musk has been building up expectations recently for the event to be something quite special. We recently reported that building permits indicate that battery cell manufacturing equipment will be ready at the plant just in time for the opening. Will there be a demonstration of cells coming out faster than bullets from a machine gun?